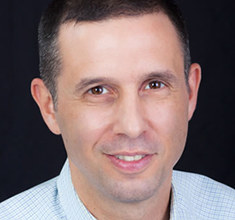 Adam Zawel is a successful business community manager and an expert at member engagement and social business processes. As community manager for Palladium Group, where the 65,000 fans of the balanced scorecard come to discuss strategy execution. Adam built a vibrant community that also served the goals of the organizations. Adam also built INmobile, a community for the most influential executives in the wireless, telecommunications and content industries. He is the CEO of Network Activator, a community management application to accelerate engagement and business results. [00:00:24] Patrick O’Keefe: Hello and thank you for hitting play on Community Signal. This week we’re talking with Adam Zawel about executive to executive communities. 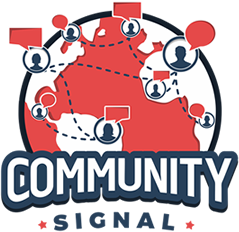 Community Signal is on Patreon, where we offer behind-the-scenes access to the show and bonus content. For more info please visit communitysignal.com/innercircle. Thank you to Carol Benovic-Bradley, Luke Zimmer and Serena Snoad for supporting our show on Patreon. Adam Zawel is a successful business community manager and an expert at member engagement and social business processes. As community manager for Palladium Group, where the 65,000 fans of the balanced scorecard come to discuss strategy execution. Adam built a vibrant community that also served the goals of the organizations. Adam also built INmobile, a community for the most influential executives in the wireless, telecommunications and content industries. He is the CEO of Network Activator, a community management application to accelerate engagement and business results. Adam, welcome to the program. [00:01:18] Adam Zawel: Thank you, it’s great to be here. [00:01:20] Patrick O’Keefe: Executive to executive communities offer an interesting challenge and it’s one that I’m knee-deep in right now, in my role at CommunityCo, especially with our Forbes Councils communities. You have a lot of experience with these types of communities and I want to talk about that challenge today. You built a community for influential executives in the wireless telecom and content industries called INmobile and before the show, you told me that this community had a fish and sharks dynamic, how do you mean? [00:01:51] Adam Zawel: Yes, it took a little while to discover that, but by fish and sharks I mean, these sharks who are hunting the fish, and the fish who are just trying to have a good time swimming around. I don’t know biologically what the fish are doing but they’re generally not eating each other. They’re swimming around in their school and then the sharks come to hunt them, and I noticed after a while with our community that we had that dynamic. When there’s a shark around, the fish all scatter. They tend not to behave like they were earlier. That had a strong impact on the community. I’ll back up a little bit and tell you how I got there, which this is back in 2005, which right now seems like a long time ago and most of our members had not been posting in any community at all. Facebook at that point was still for college students. It was new for me. I didn’t know anything about running an online community at that point. I was pulled from Yankee Group where I was a wireless industry expert, to run this community because I was a knowledge expert and the idea was they’ll come talk to me. They didn’t come talk to me. They came and talked to each other. I really learned first of all, how difficult it was just to get people talking and we made our lives difficult, in a smart way, in that we only allowed super senior people into this community. The idea was these are just going to be vice presidents from large companies, CEOs from small companies. We were super rigid about who got in but from a community management point of view, that meant we were only letting people in who actually are too busy and too important to be posting online. It created a heck of a challenge for engagement. Then on top of that, we discovered this fish and shark things which, okay it’s one thing if you have two peers who are comfortable with each other and there’s trust, but then if you have someone who maybe is even their peer in terms of seniority and salary but they’re in a different position in the industry where it’s their job to be selling to them, even if it wasn’t incredibly obvious upfront, then that creates this fish and shark dynamic, which can kill any conversation if it’s not managed right. [00:03:56] Patrick O’Keefe: When you have that dynamic, who do you focus on mostly, your attention and energy, the fish or the sharks? [00:04:02] Adam Zawel: The fish, because the sharks can smell the blood, they take care of themselves. They were easy to invite actually. They even eventually, once we figured out the business model, they even paid. All you have to do is let them know in a monthly newsletter or in anyway that, “Hey, the fish are talking here, do you want to chime in?” and within minutes, they’re in there, but the fish, generally they don’t have that interest. It’s not their job to go posting here, they’re in it to either learn from their peers, the real stuff when we describe communities, this is a place to share and network and just to grow this space and learn from each other. That’s a softer sell versus, “Come here and post and maybe someone will see your post and they’ll buy from you”. That’s a much easier sell. That’s all the sharks need, so that’s very easy. In terms of community management and talking to people, it’s the fish. You got to get them to feel comfortable to talk to each other and then everything else will work itself out. Just to give you specifics, it’s no secret, this was in the days when the mobile internet was just starting. The fish, it took a little while to figure it out, but it wasn’t just the folks from Verizon and AT&T and Vodafone, it was also Disney and MTV. It was the big players in the content and the telco space. The sharks were actually people who made much more money and in some cases, were more exciting. They were the CEOs and the vice president of marketing for the startups that were providing various mobile data, mobile internet solutions and they were selling to either one of these guys. Other sharks, which were even harder to figure out, actually these are probably different animal. I don’t know what to call it, but were the venture capitalists. They would come in and they’d post and it would take a while to figure out, “Okay, you have your agenda too,” and then you figure out how they’ve invested in one of these startups and so that’s why they’re making this point about how cool that technology is. Sometimes it was even more subtle, we ended up reading all the posts and you could read everything for face value. Then you could read it a second time and say to yourself, “Okay, what’s their purpose? Why are they posting it? Why are they posting this one? What are they trying to get out of it?” Once they figured that out, it made everything much easier. [00:06:14] Patrick O’Keefe: Reading into the post and reading that hidden meaning as you referred to it before the show, the what’s in it for them. Depending on how you read that content, how you read that meaning, what would be your next step, you see a post from, I won’t to say a shark here, but you see a post and the meaning there is maybe not conducive to the community. I don’t know if you have a specific example with INmobile but what would your next step be? [00:06:36] Adam Zawel: You know what? The truth is they did self-regulate. It was really just a couple of times that I would have to say something to someone offline. Even though this was early days for them, they were so good at presenting their case in a way that combines education as well as making their point of view that it worked, that it was generally okay. The problem really was if it was too much of that, if it was just five, 10 people from that start up community, from the sharks, one posting after another, it drowned out the voice from the fish. We wanted the main conversation to be between the fish. The sharks are actually great because, one, they would post right away. They were very smart. They had interesting things to say but they just had to be kept in place a little bit. The way we managed it really was one, we got stricter over time with the criteria for the sharks. It couldn’t just be a VP of marketing. It had to be the CEO from a startup so there’d be fewer people there, even more senior so that the bar was higher. When we started doing outreach to engage, if we had an emerging conversation, we would spend our efforts as community managers in doing the personal outreach was critical with the fish. It was really as simple as sending the e-mails and the reminders of the personal prompts to the fish as opposed to the sharks. In that way, we made sure that there was more of a conversation amongst the fish. [00:08:08] Patrick O’Keefe: Let’s stop right here for a moment and talk about our excellent sponsor, Higher Logic. What were the right times to bring them together? You’ve said before the show that the key was to keep them separate but you allowed them to engage at times. What were the times when it was right to send the fish over to the sharks? [00:08:58] Adam Zawel: Usually after the fish have had their say, after they’ve quieted down. The first big conversations we had were just around this whole mobile internet space, the vice presidents of Disney and Verizon talking, figuring out this mobile data stuff. If they ask the question, even if it’s just a one liner, just a one line question from one of these guys, one of these women and that was enough and to send it off and in many directions. What we try to do is, when they’d asked the question to try to get a response from one of the other fish first, although often their questions were open for anybody, depended on the nature of the question too. The key would be to get a question from the fish. That was always gold. If it was a question from a shark, you know why they’re asking. You read into the question, but if it’s a question from a fish, it was usually incredibly honest and everybody was interested in it. That was really the key to try to solicit those discussion starters from them. I would say that was the key. [00:10:02] Patrick O’Keefe: There’s always those questions and from the shark angle of it, the question is almost market research, is all of the questions that I see are like,”Well, could you use a product that does this?” or it’s almost proving out a use case for whatever they’re going to do next. [00:10:21] Patrick O’Keefe: We’re talking about 11, 12 years ago, 2006. Do you think that executives, and you named some high profile companies, do you think that these executives at these types of companies are less likely to share as much among their peers in an online community setting now than they were then? Obviously back then, you mentioned Facebook being just for college students, people were less initiated, internet wise, I would say in a lot of different ways. Security, privacy, the platforms we have, it’s different than it was 11, 12 years ago. Do you think that has made executives less likely to participate in communities like this online? [00:10:55] Adam Zawel: Yes, it’s interesting. They’ve become more careful about trust or I should say, they were always careful. They’re always careful but they found their places. I’m always surprised when I hear of some tiny niche community. For example, for security professionals, for chief security officers, some forum maybe from 1990s technology that they’re still using it. It’s not about the technology. It’s really about the trust and proving itself over time. I think they have found their places and it doesn’t need to be in many places. Really it just needs to be one place for each of them, maybe two if they’re in a converged space. I think increasingly, they’re finding it and if they haven’t found it, they’re in trouble and they want it. Actually, I think, I haven’t done research on it but, I suspect more of them are doing it because if you’re not over that initial hump of being fearful of posting anywhere, then that’s a problem. I think most of them are over that but they’re still right and so are very sensitive about where they post. [00:11:59] Patrick O’Keefe: Of that community, you also said that they were obsessed with the people themselves, their histories, expertise. They were snobs. It worked well. Talk about that a little bit. 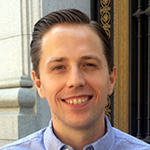 [00:12:08] Adam Zawel: I think I was blessed with my first partners because they were executive search recruiters. They were the funders, the backers of INmobile. Before we launched as we were working with the technology building the site, they were picking the people to be in the community because they were executive search recruiters, they knew everyone’s bio and they were very sensitive to how senior they were. There’s a vice president over here, equal director over here and they spent that extra time up front with me, making sure that it was the right people that would want to rub shoulders with each other yet they were snobs and it was great. It was difficult because the people are so senior, it was tough to get them to talk but it was great in that they were on the same level and that’s what made them feel special and started developing that trust. We could just put out the member list and say things, “We’re asking you and five of your peers on this level to respond”. That got over many barriers to participation, including a fear of posting in front of people who work for you. If you’re truly with your peers, even if it’s a competitor or a cooperator, in some ways you feel more comfortable than posting in front of the people who work for you, especially if you’re going to ask a question. That was quite good, to be extra snobbish upfront. First of all, you want to be super clear on who’s in. This is a lesson I brought to my next community. When I was hired there, they already had a list of who they wanted in. The first thing was, we sat down and we went through that list super carefully and so that paid off to do that right from the start, to have the right members, if you’re talking about a private executive community. [00:13:54] Patrick O’Keefe: One thing I find interesting about that story is that you mentioned you used executive search recruiters, where to find the right people, where in talking to, I don’t know, different people who have done executive type communities or business communities. The investment is usually more in sales and in finding leads to the more traditional sales route but it sounds these are recruiters who would find professionals for maybe career opportunities. Maybe I’m reading that wrong but that’s a really interesting use of their talents, is finding the right people for the community. [00:14:25] Adam Zawel: Yes. First of all they used me, they hired me. It was their idea. These are very smart guys in the executive search. Then when they actually helped me with the community to find the people, but they were the owners. They were the backers and their reason for doing it was, they would find someone a job as CEO or vice president and they wouldn’t see them again for three, four years. They were looking to maintain that relationship with them, for two reasons. One, to get new business from them as they hire out their team and then two, the next time they’re looking for a job, they would think of these recruiters. They really stood out as having this community that was doing something besides just job placements. It was brilliant on their part and it served them well, in unexpected ways in the long term. It so happened that the executive search business went through very tough times in those years as well, but having a community I think served them quite well. [00:15:19] Patrick O’Keefe: You just mentioned the idea for people posting in one place and your next community role, which was at Palladium, where you had another top executive community. Members there would only posting in your community. They wouldn’t really post on third party platforms. Why was that? [00:15:34] Adam Zawel: This is a very different kind of community. After a few years of doing INmobile, I was no longer a wireless telecom expert. I was more of an online community expert and I got hired into this company, Palladium, that does this thing called the balanced scorecard that is run by Kaplan and Norton, these professors. Kaplan’s from Harvard Business School and I didn’t know anything about the balanced scorecard, so in this case, I wasn’t the subject matter expert. All I was, was a community manager expert. I had to work with the subject matter expert, which was actually a more natural split. I liked it better, being able to play the role purely of community manager and yet, the members were different too. In the wireless industry these were exciting times and everyone was looking for their next exciting job, the VCs in there. Then, I go to this community where they’re discussing the nuances of how to conduct a strategy meeting or how do you align your IT department to the executives. Super important stuff, strategy management but a little bit dry and the makeup of a strategy manager or strategy director, the members of this community, was very different. These are kind of conservative people. You go to their LinkedIn profiles, they’re not posting anything, probably not so much out of fear, just that they don’t see it as their job. They’re not on the cutting edge. They’re not at all close to marketing or social media or anything like that. Yes, it was different and that did create this opportunity for the company itself too, so for Palladium, the backers and their consulting firm. They recognize, if we have this community where we’re focused just on this issue, we will get these conversations here. We’ll leave a homeland for discussions about balanced scorecard, strategy management. It really turned out to be the case, so these were the best conversations on the topic that you would find. You also had the fish and sharks issue here too because if you go on LinkedIn to these balanced scorecard conversations, you’ll see that it’s many consultants that are commenting. They’re the sharks. Again, we were careful about who came in. These were just practitioners, just the strategy managers. They would post and we would find, yes, that they’re not posting anywhere else. There were some stories that even took this to an extreme. We had about 10 people in the community from an insurance company and we’d see they’re logging in all the time but they’re never posting. We finally reached out to them, found out that they had a policy at their company of, they can’t post anywhere. They were super interested community members, dying to post and what we set up was a way for them to send in anonymous posts for the community. They got a lot of value of it and of course, we did as well as a consultant company, to have their knowledge of what interests them. It deepened our relationship. Another example, people from your non English speaking countries, who are uncomfortable posting in English, we’d help them, have a back and forth, editing their posts for them. They weren’t posting anywhere online in English and they were doing it here because of that concierge work that we were providing for them. [00:18:40] Patrick O’Keefe: You would take their posts or in the case of the insurance company, you would take their posts and would post them from, I guess your accounts anonymously in the community and then people would respond, I assume. Did you feel like those posts were less likely to receive a response or were they less trusted? Would they just post, for this one it’s almost like Miss Manners, a Dear Abby letter? [00:18:59] Adam Zawel: Yes, there’s nothing like someone posting with their picture and saying this is me. However, this community was less conscious of the status of different folks. If they believed from the content that this is really from a practitioner, someone who’s really charged with leading a strategy meeting at their own company, then they tended to believe it and we had built up this trust over a couple of years. It probably wouldn’t have worked, had we done it right at the beginning. After two years of doing it, they believed it and they would respond, so it was okay. We didn’t do it at INmobile. I think it would have been a challenge there because there would have been a believability problem. [00:19:37] Patrick O’Keefe: Yes, it’s interesting but they had no posts in the community. You wouldn’t have that knowledge at all. You talked about the model for INmobile and the owners and what their motivations were. At Palladium, the balanced scorecard, it’s a management system, right? It’s a strategy process. What was the model for building community there. What was the ROI, the business model? [00:19:58] Adam Zawel: The challenge was at first there were too many business models, all very good, starting with the professors themselves who had thought of doing these forums in this community for many many years. The reason was that the whole balanced scorecard idea actually came up in a community. It was an interesting background story that I heard from the 90s, when it was first developed, is they had a room full of executives and talking about the problem of just measuring based on financials and someone said we need a balance. They collectively came up with this name, we need a balanced scorecard to measure both financial, non-financial objectives. The whole concept, the whole idea was community generated. They had this spirit from the start. They had this hall of fame for companies that were excellent at using the balanced scorecard. It was a consulting firm but it was built around a particular methodology that people are passionate about. Community was around there and they had an active event business too, so it was a natural fit. The research department loved it, those were my initial partners because one hope was, well, we found the whole balanced scorecard idea through community, let’s do online to see what we come up with next. There was that push but of course, the whole research department is a soft department without its own PNL. There was also the idea from the consulting sales and business development side. Well, if we could keep customers happy and renewing with us, if we could find a more million dollar business, well that will certainly pay for it. That became the much more concrete business model, which was to keep our customer’s happy and renewing and new business development. [00:21:40] Patrick O’Keefe: I want to go back to something you said earlier to close out the show here because I think it’s a really interesting point, worth exploring a bit more. You said when you invite only super senior people, you were really only inviting people who are too busy to actually participate in the online community. I guess another way to look at that is to say the mix is important if you [laughs] shoot too high. If all you get is the super senior people, then you end up with a lack of conversation. Talk about that a little bit. How did you balance that out? When you’re building an executive community, you obviously do want Disney, right? You want Verizon. You want those big companies because that lends a sense of just amazing credibility and provenance to your community. It takes all kinds sense in the space to make it all work. [00:22:24] Adam Zawel: Yes, absolutely I think one thing that hasn’t changed from when I got into this, is that there is a space between your managers who are in communities with tactical questions. They have lots of communities where there is shop talk, how do you do this with the technology. You have the tactical managers from all kinds of companies in there in communities that maybe are created by those vendors and then you’ll have CEOs in in-person communities. They’re invited to go golfing at the corporate outing. There’s a big gap in between there. No CEOs, it will be very difficult to get them online, some of them barely even check their computer. They’re just going from meeting to meeting. There’s a huge opportunity in between the CEOs and those managers, where they need extra attention. They need the concierge service but they’re willing, if they’re treated the right way and if the trust is built. I think there’s still a sweet spot there. Look, I like it from the community manager perspective because you need a community manager for that level. It doesn’t just work on its own. I still think it’s a sweet spot. I think generally, it’s worth it to shoot high if those are your buyers, if those are your influencers. You can make it work. You have to set expectations, right? They’re not going to be posting as much as the others but each post, each insight is that much more valuable. [00:23:47] Patrick O’Keefe: Adam, thank you so much for coming on the program. I really enjoyed speaking with you. [00:23:50] Adam Zawel: Thank you, Patrick. It’s been a pleasure. [00:23:52] Patrick O’Keefe: We’ve been talking with Adam Zawel, CEO of Network Activator, that’s networkactivator.com. For the transcript from this episode plus highlights and links that we mentioned, please visit communitysignal.com. Community Signal is produced by Karn Broad. Thanks for listening.